Julie Davis age 58 – her granddaughter was 2. What do all these people have in common? They are the real names of some of the 5,500 people who die and the 500,000 people injured on our roads each year due to distracted driving. Some of the victims are innocent occupants and pedestrians who happened to be in the wrong place at the wrong time. Innocent – small consolation – dead is still dead. Most are under 20- they are our children- they are our future. Distracted driving is texting while driving; it is talking on cell phones. It is any activity that takes the focus off of the task of safe motor vehicle operation. It only takes a moment of inattention. But enough of me rambling. Below is a link to a video that is 10 minutes 44 seconds duration. If you watch it-you WILL be moved, you WILL make a difference in someone’s life. You will show a teenager in your family this video- you will watch it together. You will think twice before you respond to a text while driving. You will set an example for your kids to follow. Just 10 minutes and 44 seconds. Making a difference- changing a life for the better need not take long- it usually just takes action. Please make a difference- pass this along. I tweeted This. Do not phone and drive either. Valuable post. Thank you!! 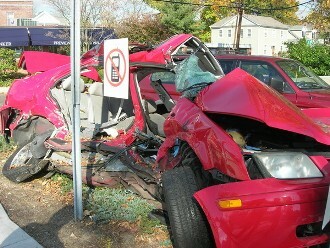 Great article on the dangers of texting while driving. Former American Idol champion Jordin Sparks and the Jonas Brothers are working together in a campaign called “X the TXT” aimed at curbing distracted teen driving deaths. 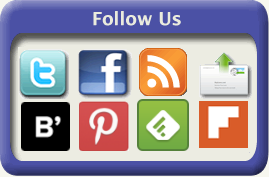 For more information on the program visit Allstate Insurance Digital Newsroom. There are so many people who have taken this up as a cause and a message it is amazing. As with anything we will see change happen when we spread the word. So thanks for the comments and please keep spreading the word. I’m guilty of distracted driving and my friend just lost his father to that and I’m keeping my cell down when I drive from now on. I’m so sorry you went through that but I really appreciate you sharing it. So many times we hear/see something like this and make a mental note that we need to warn our friend’s kids or our sister’s kids. We totally disregard the fact that we can be just as guilty of doing the same things. Thanks for reminding me…the rules apply to ALL of us! Thanks so much for sharing this- it makes it so much more real than just a story on a blog. There are many ways to learn life’s hard lessons. Here is hoping we all learn before more tragedy.